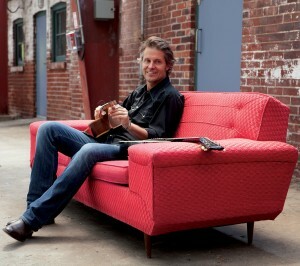 Jim Cuddy. Photo supplied by Warner Music. With the release of his third solo album, Blue Rodeo’s Jim Cuddy is paying tribute to the subtle charms of city life. “The kind act is very magnified in the city because it’s unexpected,” says the Toronto native on the origins of Skyscraper Soul. After spending months touring Blue Rodeo’s platinum-plus-certified record, The Things We Left Behind, Cuddy began writing music for his wife’s short film in early 2011. Building on the momentum of that project, Cuddy soon discovered he had the makings of a full-length album. He got his band together–along with some of the city’s top horn and string musicians–and began recording in Toronto’s Woodshed Studio. While on tour in St. John’s, N.L. last week, Cuddy took some time to speak by phone with the Gazette about his recording process, the Royal Wedding and his upcoming performances at the Rebecca Cohn Auditorium. Gazette: Since 1987, you’ve seen massive success from your involvement with Blue Rodeo. What made you decide to branch out into a solo career? Jim Cuddy: At the beginning, the impetus was really a survival instinct, because Greg (Keelor, guitarist/vocalist for Blue Rodeo) was going to make a solo record. He was, at the time, pretty discontented with being a part of the larger machinery of Blue Rodeo. His going away was a little wake-up call for me. I thought, “Well, I don’t know what’s going to happen. If he goes and doesn’t come back, I’m going to have to figure out how to do this.” So I just started doing it to see if I could do it. And then I realized it was a very good thing for me. It relieved a lot of pressure of being in Blue Rodeo. It encouraged my songwriting, and helped clarify my songwriting. All in all, it’s been an incredibly positive thing. In the beginning, it was a little threatening to the core. But once everybody in the band realized that we all were loyal to the main band, then it just became something that was good. G: How does your solo work differ from the music you create with Blue Rodeo? JC: I don’t think it really did differ very much when I started. I think instrumentation-wise, it was a little more countrified than Blue Rodeo. I wanted to have violin, and push that aspect of it a little more, because I liked those bands—Jerry Jeff Walker, Lost Gonzo Band, that kind of stuff—when I was a younger man. But I think now, it really is quite different. On this record, the instrumentation is quite different, and I am able to create a whole body of work myself. In Blue Rodeo, whatever I do is contrasted against what Greg does, and therein lies the meaning of Blue Rodeo: The bridges and the gulfs between our two songwriting styles. G: The first single off of Skyscraper Soul is “Everyone Watched the Wedding,” which you’ve said is about the Royal Wedding. What idea were you trying to get across with this song? JC: Well, I’d never in my life really paid attention to the Royals. Now, I’ve read stories like anybody else; but it’s never been of particular interest to me. It wasn’t of interest until two things happened: I saw The King’s Speech and really was struck by what a difficult sacrifice George VI made to become King—something he did not want to do, but he felt was his duty. And then I heard that two billion people were going to watch this wedding. I thought, “There’s something I’m missing here. That’s an incredible fraction of the people on Earth.” So, I just started to read more about it, and I found Will to be a very inspiring character—much like George VI. He’s giving his life over to this job, and I thought that was very admirable. I wrote it from the perspective of somebody in England—which has been very hit by the recession—anticipating the wedding and using the wedding as a way of elevating, at least for a brief period of time, out of his life. Most of the song is a description of somebody leading a very normal, but slightly desperate life in England. I was able to use a lot of details from my life, and my feelings about being an empty nester, and my feelings about family. I felt that the Royal Wedding was this gigantic event that just, lifts people up into the clouds for 12 hours. But then when they come back, they have to look around again, and maybe things look a little grimmer than they did the week before. G: I’ve read the writing process for “Everyone Watched the Wedding” was quite different for you, in that you just sat down and sketched it out all at once. What’s your songwriting process usually like? JC: The writing process, for me, was one of the great pleasures of the year. I usually block off about three weeks, and I go to the studio everyday and I just lock the door. I have guitars and pianos, and I just relax into translating all the things I’ve been thinking about in the last year into songs. With “Everyone Watched the Wedding,” I went in trying to do something. Usually I just let it happen, and if I stay in there for an hour or so, usually I come up with something. This one, I went in and I wanted to write a song that had some fiddle in it, because I didn’t have any songs that really utilized Anne Lindsay, and she’s a big part of my band. So I’d started to do that, and it just wasn’t coming, so I just decided to abandon it. But then I just started playing, and I just played “Everyone Watched the Wedding.” Truly, within 45 minutes, I had most of the song done. I went and played the song for my mother that afternoon. I don’t usually go and play songs for my mother (laughs), but she’s a real royalist! I just had to check this one. I was really surprised I had written it; I never intended to write anything about the Royal Wedding. So I went and tried it out on her, and I thought, “If this song means something to her, then there is in the song what I think is in the song.” And she was pretty moved by it. G: What are some other themes on this album? JC: Primarily, with Skyscraper Soul, I was trying to share my inspiration that I get from the city. I recognize, having lived in Toronto for a long time, that it is one of the more detested places in the country. I think a lot of that resentment is just mockery; I don’t think people really know the city. I also think a lot of cities are intimidating to people who don’t understand cities. I think you have to overcome your feelings of alienation, and all of a sudden you start to recognize that within this relatively difficult environment, there are very beautiful things. The kind act is very magnified in the city because it’s unexpected: The way that people actually do lend each other a hand; The way that people open up to each other; The interesting characters; The fact that you walk out your door and, within a matter of minutes, there’s some human activity that catches your eye. Those are the things I wanted to say with Skyscraper Soul, that in the cracks of the pavement you’re going to see beautiful things. G: You recorded your latest album in Blue Rodeo’s Woodshed Studio. Can you tell us a bit about the recording process? JC: The recording process follows the path that we’ve used for Blue Rodeo for quite awhile. We all set up to play together. We have that kind of studio where we can all play together. Mostly, it was very easy. Especially the first session. The first two weeks, I would sit around and play them the song, and by the time I went through it a couple of times, people would start to get ideas about parts. We’d all get in our places, and within a really short period of time, we’d have a good, strong structure to the song. Once I felt like I had enough, we’d move on. That is absolutely a tribute to the experience, sensitivity and talent of this band. They are all great players, and it was just such a supportive environment for me. That’s the value of having a band together for a long time–you don’t have to get to know each other. They know each other, and they know how to play. G: You have back-to-back shows booked at the Rebecca Cohn Auditorium in Halifax this week. What can audiences expect from these performances? JC: I think what they’re going to get is a lot of new songs, and then a spattering of songs from my other records. There are also songs that this band does that are part of the Blue Rodeo catalogue, which fit in, or are different interpretations. Some of them are great to highlight the talent of this band. You have a song like “Five Days in May,” and it really shows off the talent of Anne Lindsay, my violinist, and Colin Cripps, the guitar player. And I love doing that. I really like, in a concert, to give people some of what they expect, and some of what they don’t expect. I feel that those are always the best concerts. The Jim Cuddy Band performs at the Rebecca Cohn Auditorium Nov. 22 and 23 at 8 p.m. Tickets are available through the Dalhousie Arts Centre box office. Erica was the Gazette's Copy Editor and Arts Editor for Volume 144. She was an Assistant Arts Editor for Volume 143.